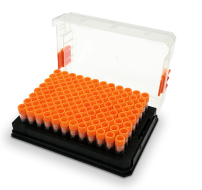 • A unique collection of 415 bioactive anti-infection compounds for high-throughput screening and high content screening (HCS). • A useful tool for identifying drug target. • For studying human diseases, opening up new mechanism and ways to treat human disease. • Rich documentation with structure description, target information, IC50 values and customer reviews. • NMR and HPLC validated to ensure high purity.